It seems that these Year in Review posts get later every year. It's mid-May in 2018, which means I'm doing 2017 almost halfway into the next year. Oh well. I'll chalk it up to spending a good deal of (all of?) my free time chasing a rambunctious 3 -year old who never seems to be far from one hazard or another. Although they may be later or more brief than they were when I started this blog (previously called Packing Lust - and today called simply "Genevieve's Blog") I do think having one post to summarize each year is something I want to continue, even if it takes me a while to get around to it. I've posted reviews of 2012, 2013, 2014, 2015 and 2016. These posts are mostly for me to get an eagle's view of my years, but they are also for anyone interested in what my family and I have been up to since 2012. If you'd rather skip reading about what I did in 2017, and would rather read about what I read in 2017, click here, where I share the best 10 out of all the books I read in 2017. I guess you don't have to skip this post. You could read both. It doesn't have to be an either/or situation. Instagram. It was my favorite social media platform in 2017, and for perhaps a year or so before that. To see if I'm still using it, check out my current Instagram feed. I'm not sure how long Instagram will be around for, but so far in 2018 I'm still enjoying the highly visual nature of the channel. And because it's quick to post from my phone using Instagram, it's a way for me to blog from anywhere when I simply don't have my laptop or the time to spend writing out a long post with lots of photos. And now it's time for a quick overview of 2017 by month. 2017 feels like the year we slowly traveled across the U.S.A., although we did a lot more than just that. In January I march in the (now famous, it seems) Women's March in Los Angeles with my friend Andrea. I'm proud I showed up for the event to improve visibility about things that are important to women. We started some serious slow-travel around the USA. Realizing after our lease was up and we were both remote-working that we had the flexibility to stay in AirBnB homes in small towns across America (which was also more affordable than big city rent) we decided to go for it. As a result we got to see we got to see our own country in a beautiful new way. The first stop was in the Sonoma, California area. We stayed in each location for about a month, so March saw us travel up to the Portland, Oregon area where we got to see some dear friends. We were still in the Pacific Northwest for this rainy month, so we left our kid with our dear friends and left the country for the first time in while. We visited Vancouver, Canada. I also had a lot of fun testing out the newest bike from my family's company, Cruzbike. In May we headed to Burley, Idaho. Prince Charming found this small town and wanted to see it. We really liked our time there. The people were the friendliest I've ever met. I'd never been to a small, non-tourist town that had healthy self esteem, but Burley had it. Instead of saying "why would you want to live here?" like many people in small industrial towns do, the people said, "Why don't you move here?" We considered it, but I wouldn't be thrilled long-term with such a distance between me and the sea. In June we got a rare chance to see some family in the Kansas City area. Because Charming accepted a new mission to help refugees in the Middle East. We sped up our planned trip across the country to get to my parents place in North Carolina and make arrangements to move to East Jerusalem. Before we left the country, we joined my family for a beautiful beach trip. I got to add a month to one of my passion projects -- the breastfeeding awareness calendar. Our culture uses glamour to sell just about everything to women, including unhealthy things, like chemical-laden "beauty" products. 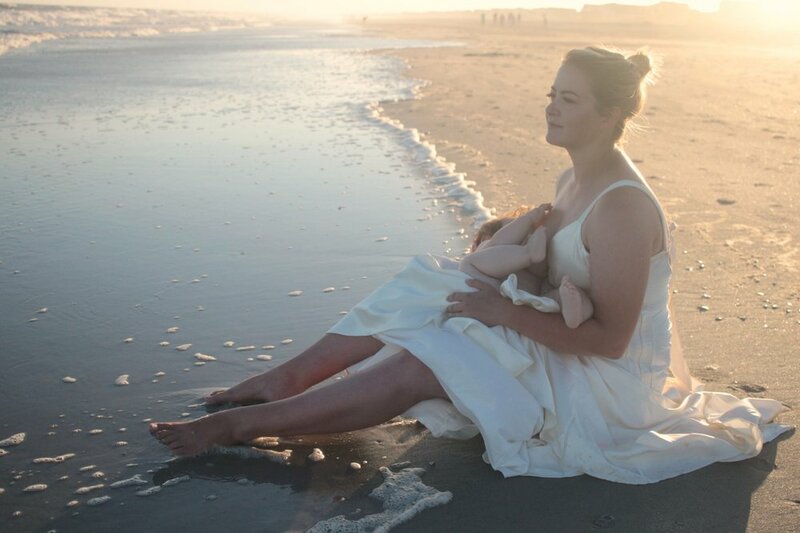 The goal of my calendar is to use a touch of glam to sell something really healthy and truly beautiful: breastfeeding. The calendar is entirely volunteer staffed. If you'd like to be part of this evergreen project which will raise money for a nonprofit that supports breastfeeding, email me at Genevievewrites@gmail.com. When I was breastfeeding my son, I found that I was uncomfortable taking part in normal life outside the house. I think this is partly due to a stigma that we still haven't erased in the USA and in many cultures. The calendar is my part of erasing a stigma that says breastfeeding is unusual, disgusting, private, or sexual. I know that most days, mothers don't feel glamorous when they breastfeed. Nor is there any need to feel or look any certain way when breastfeeding. However, many of us love to be pampered, have our hair done, wear a gorgeous designer gown, and look -- well -- like a woman straight out a magazine. Why can't that woman be breastfeeding? Of course she can. My 2017 addition to the calendar was this beautiful mom/baby model team, who jumped passed the "magazine model standard" and leapt straight into Greek goddess sculpture territory. Prince Charming began his mission in East Jerusalem while the kid and I stayed behind in North Carolina, planning to join him after attending my sister's upcoming wedding. We took a family road trip with my parents and some siblings to see the total eclipse of the sun. It's apparently very rare to be so close to the path of "totality" as we were. 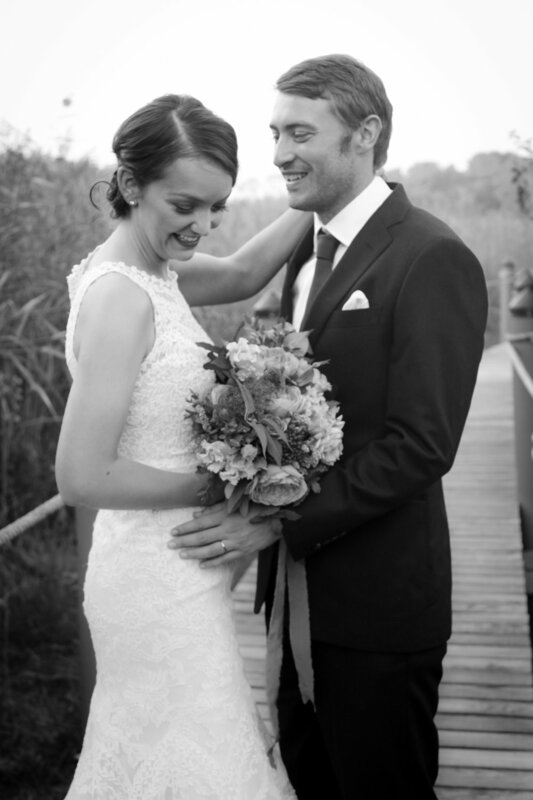 These two beautiful people married each other. My sister's wedding in a charming town on the northeast coast was splendid and exactly what she and her groom wanted down to the lobster and glorious September weather. Now have lots of babies, you two! Just kidding. No pressure. Also in September? I released my book, The Wealthy Creative. 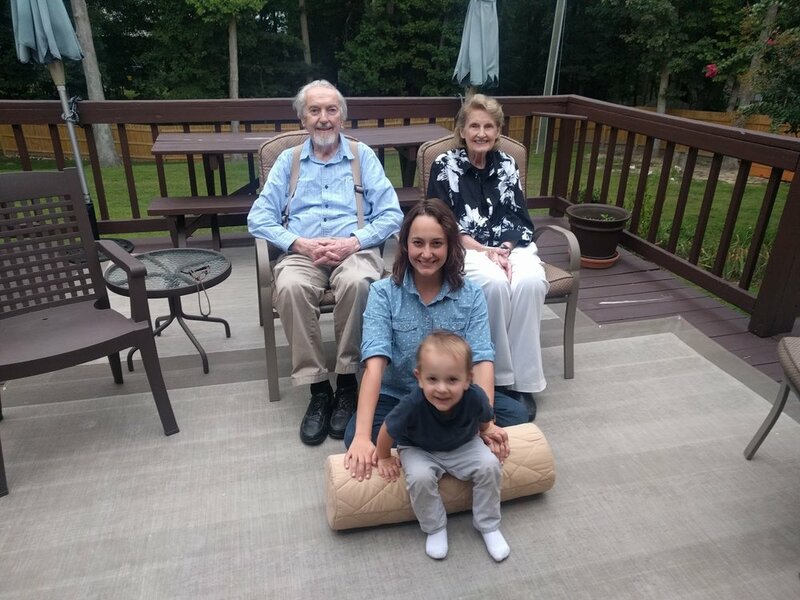 My son and I also went to visit Grammy and Trog in Virginia. And we moved to East Jerusalem. Settling into our new home in Israel Palestine was easier than last time because of that previous 2+ years we'd spent. in the Middle East. This time we were living in East Jerusalem instead of Ramallah, but we made lots of trips to see our friends in Ramallah. 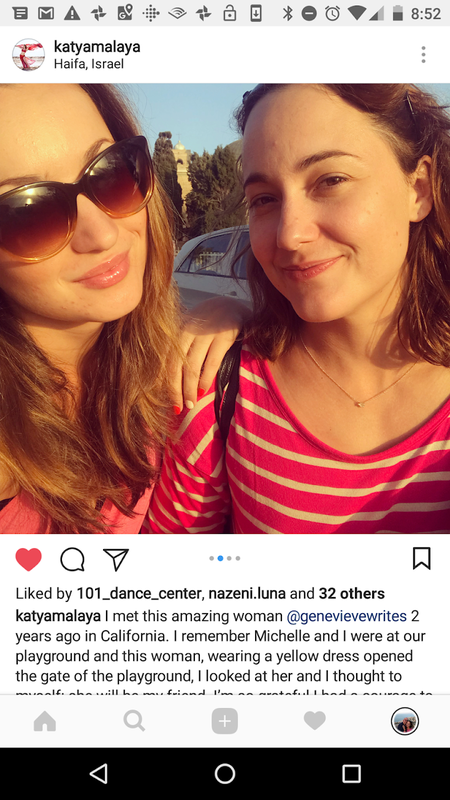 Also, one of my Los Angeles friends had moved to Haifa, so seeing her felt like moving half way around the world was sort of like walking a few blocks to see her like I used to do in LA. My baby turned three. He's not a baby anymore. Santa came to the kid's wonderful school on the Mount of Olives. The kid and I did a mandatory visa run to Cyprus. 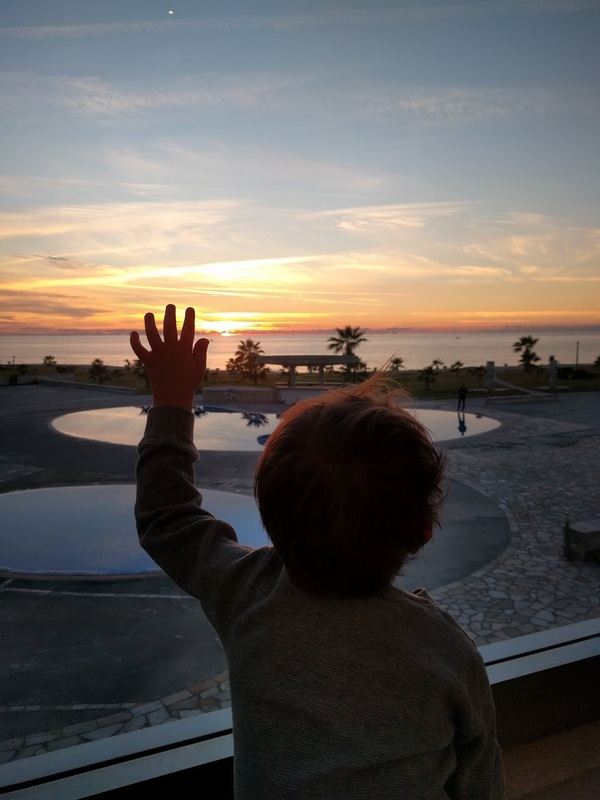 The luxurious beachfront hotel and beautiful sunsets were not mandatory. They were magnificent.